M-Light Control, what's the difference? M-Light Control is modern lighting control, with fully compliant and certified DALI and DALI version 2 (DALI V2) support as per IEC 62386. Built upon a "just works" philosophy, M-Light Control removes the complication associated with lighting control. Common issues associated with typical lighting control have been removed with the use of smart software and systems. Industry issues and complications found in addressing, grouping and fault finding have been removed completely or drastically reduced. Integrating these features results in a system that can be delivered faster, with less risk and without compromise. Commission and setup buildings faster with M-Light Control. With M-Light Control’s instant data technology, you are in control. Using the cloud or app interface, up to date data is streamed quickly, dramatically reducing commissioning time. What is better than fast? Automatic. With M-Light Control automatic addressing, grouping, debugging and base build commissioning, many tasks are completed before the commissioning begins. 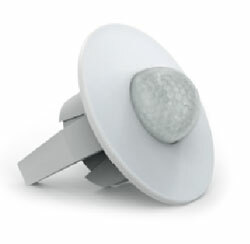 Smart data technology allows simultaneous multiple user access right down to a single light fitting. Multi-user technology allows quicker commissioning and better use of resources. Dramatically decrease building commissioning time by up to 100x with M-Light Grid view. 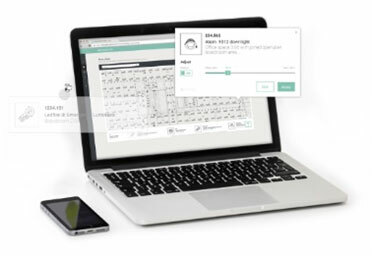 Quickly change device settings on thousands of devices in seconds. Cut and paste settings across floors, buildings or sites. It has never been quicker or easier. M-Light Control advanced algorithms analyses the site and provides advice on potential issues, making it easier to identify problems, saving critical fault-finding time. M-Light Control reduces commissioning time and removes a lot of mundane tasks, therefore reducing the risk associated with using a building management system. Control systems take a long time to set up and commission, the solution: M-Light Control does all the hard parts. A modern building requires many building services to be connected. M-Light Control takes security seriously and sets an unprecedented standard in lighting control. Using outdated security implementations, other systems may not provide adequate protection now or into the future. Some systems use plain text UDP packets which allow for easy intrusion, while others are using encrypted multicast packets and obfuscation to keep you safe. SHA-2 (Secure Hash Algorithm 2) and AES (Advanced Encryption Standard). M-Light Control has ensured correct use of TLS1.2 and uses ciphers including AES256-GCM over TCP/IP protocols. M-Light Control security documentation is available on request. Security by obscurity is not a secure practice. Fast and reliable data interaction is very important in today’s control systems. Guaranteeing that the data is fast and delivered reliably is critical to the well-being of the building. M-Light Control is built on industry standard TCP/IP protocols rather than UDP. The M-Light Control packet handlers ensure correct handshaking and closed loop acknowledgements ensuring lights are controlled when they need to be and without compromise. In today’s era, remote monitoring, building control, multi-site management and fast interaction are becoming mandatory requirements for building management systems. M-Light Control Cloud is an enhancement to standard lighting control. While all M-Light Control buildings can operate without a cloud connection, adding cloud control provides a faster and more manageable solution. Additionally, other features can easily be added and distributed from the cloud, which helps to future proof buildings as the industry requirements change. Emergency lighting is essential to illuminate work areas and escape routes when the power to normal lighting fails. In most regions legislation demands that emergency lighting is regularly tested and maintained in full working order to ensure occupant safety should an emergency occur. M-Light Control allows building owners to break the areas into tenancies and allow individual tenancies to manage and maintain their own records, while also being able to audit the records of all tenants. M-Light Control takes advantage of DALI compliant emergency lighting and can provide fast and correct testing. which aid in reducing the setup time and increase the daylight linking accuracy. Changing the behavmior of lighting during different periods of the day is simple and easy with M-Light Control. The building can be set up to change profiles at various times to meet the requirements of after hours, normal hours and holidays. Additionally, an installer can schedule tasks to occur based on the time or proximity to sunrise or sunset. Changing how a room or area performs based on event logic, such a room partition opening or closing, is easy with M-Light Control event-based logic. Event based logic allows dynamic changes to the actions performed from switch and sensor activity, directly from events triggered through other logic input devices. In the room partitioning application, this means when dividers are open, switches and sensors control all lights and when closed, only those in their relevant area. Light colour and intensity play important roles in human physiology. Recent studies have shown that distinct colour temperatures and intensity can trigger the body to create serotonin or melatonin. The ability to adjust the colour and intensity of light can be used to trigger these hormones and positively affect building occupants. M-Light Control provides the ability to easily control light prescriptions in an environment to increase productivity and improve well-being. Use C-Bus devices with the M-Light Control systems easily with the C-Bus automation controller. Integration allows easy mapping of M-Light Control objects to C-Bus events, or map C-Bus touch panels to control M-Light Control rooms and devices. 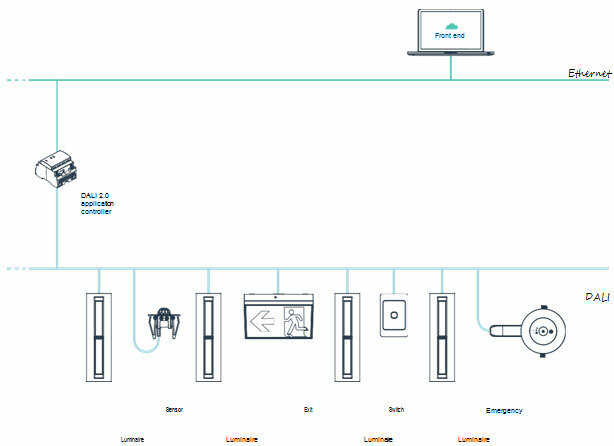 M-Light Control is designed for sensors, which allows simple, easy, and automatic setup of presence and absence control in basic installations. 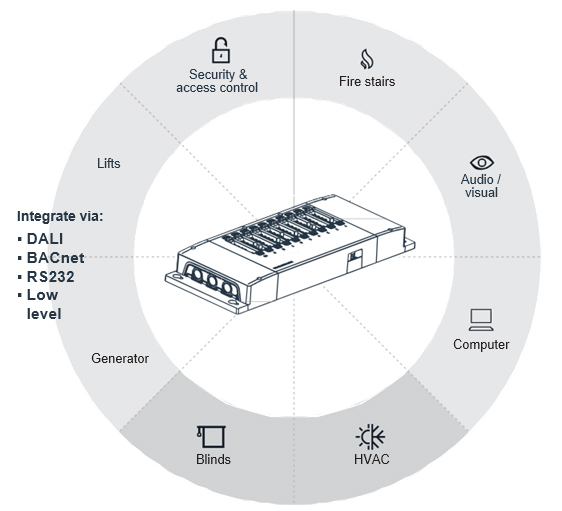 M-Light Control supports up to 63 sensors per DALI line and is ready for smart DALI luminaries. With per fitting occupancy control and light level compensation, energy savings and comfort can be easily increased. Boardrooms, meeting spaces and other presentation areas commonly require the ability to change the lighting of individual or groups of luminaires to fit the requirements of the occupants. 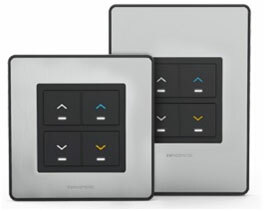 M-Light Control supports easily configurable scenes and accessories. Individual workstation control is gaining traction for employers looking to increase employee comfort. M-Light Control personal USB interface is the perfect accessory to give employees individual room control without commissioning. Full compliance with DALI standards ensures that our products function as expected to ensure a consistent experience through the systems life cycle. M-Light Control's automation and simple control is built on the functions and commands from the latest versions of the DALI standard. Full compliance with DALI standards ensures that connected devices function as expected to ensure a consistent experience through the system life cycle. The M-Light Control product range has been built for compliance with DALI and DALI version 2 (V2) with DiiA certification. DALI compliance is not just for M-Light Control systems. With a compliant device, commissioning, set up and everyday usage is more consistent and more reliable on all DALI control systems. Data security is a critical issue in many currentlighting control systems. Most systems have poor data recovery plans and little to no softwareor physical security. Many systems have data stored only on a single low-cost pc often located in a plant room with a single log in for all users. Virus, crypto lockers, ransomware, theft or damage to this computer can result in loss of emergency test records and the inability to monitor or administrate the system. M-Light Control cloud based data storage and control means that head end PCs, though available, are not required. As information does not need to be stored locally the risk of compromise is greatly reduced. All details of site setup, test results and remote management can be accessed from any pc by approved agents. M-Light Control room controller provides power distribution and automatic grouping via its 10 channel output. 10 SELV inputs allow the joining of rooms and manual lighting control. With support for up to three input power circuits the room controller can supply up to 3 x 10 A of resistive load. The room controller has a built-in DALI version 2 application controller, DALI power supply and system relay / emergency test contact. M-Light Control PIR and lux sensors are powered directly from the DALI line alongside mains powered DALI microwave and specialty sensors. All M-Light Control sensors are compliant to IEC 62386 - 303 and can be used with any compliant DALI application controller. 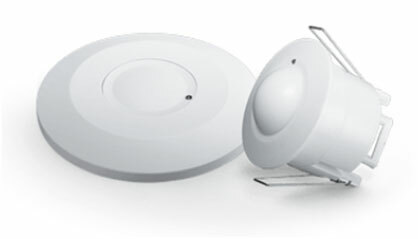 5 and 8 m PIR models also provide ambient light level detection and colour sensing (with software upgrade). M-Light Control DALI switch has been designed for mounting behind lighting control panels allowing the use of standard mains rated switches for DALI control. The switch is powered directly from the DALI line and has two configurable connections with either functioning as a switch input or LED indicator. DALI compliance to IEC 62386 -301 enables the DALI switch to be used with any compliant application controller. 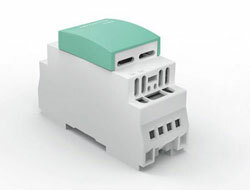 M-Light Control DALI relay suits the standard 35 mm DIN rail and can be mounted within a distribution board. The 10 A volt free mains rated relay output is rated for 40,000+ operations. DALI device type 7 compliant per IEC 62386 - 208 ensures compatibility across DALI control systems. M-Light Control DALI power supply powers the DALI line with up to 235 mA of line loading at 16.5V. The supply is protected against short circuit, over voltage and thermal overload fault conditions. Distribution board mountable on standard 35mm Din rail provides simple mounting and installation. Compliance to DALI version 2 IEC 62386 -101 ed 2 helps ensure timings and signalling is robust and reliable. M-Light Control application controller provides many of the same features as the room controller in a DIN mount package. An application controller can be used when all devices are to be controlled together, for lines of emergency fittings and applications where some manual commissioning is acceptable.